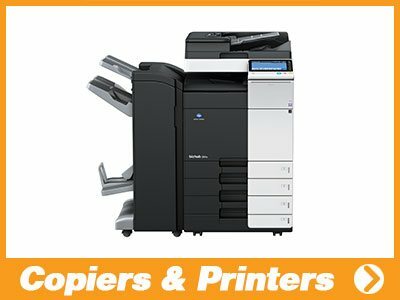 Konica Minolta and Muratec office copiers and printers. From simple copiers and printers to fully loaded units, We can meet your needs at an affordable price. 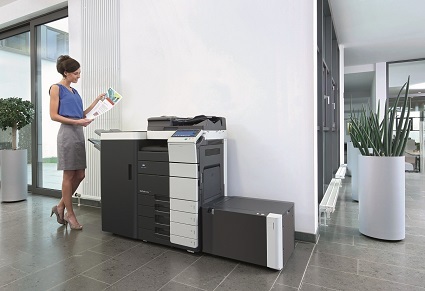 Ask about managed print services to cut your operating costs on your fleet of printers. Need to bring your wide format printing and scanning in-house or upgrade your current equipment. 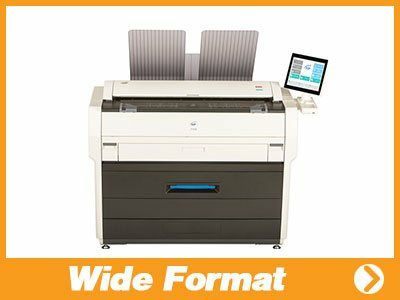 Check out our full line of KIP and HP wide format printers. Let us prove how we can save you money and save your valuable time. Are you a print shop or a print department in a company and need to upgrade your current digital printers. 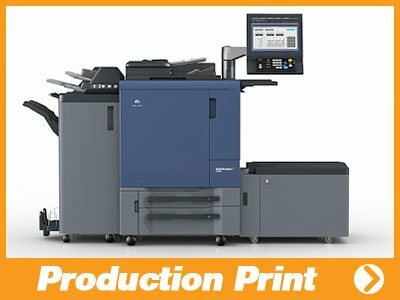 Our line of Konica Minolta Bizhub Presses will run a variety of paper types and produce award winning colors production. Tired of running to the post office and licking stamps. 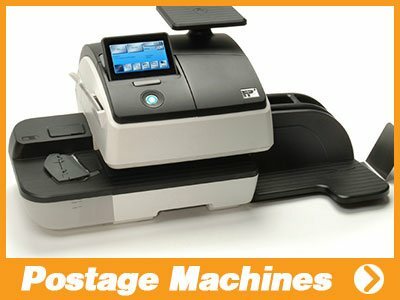 We offer a variety of postage machines that will meet your needs and save you valuable time. We also provide mail software solutions that will make light work of your bulk mailing. Our factory trained technicians have the ability to easily integrate your Multi-functional copier/printer/scanner onto all types of office networks: peer to peer or domains networks. 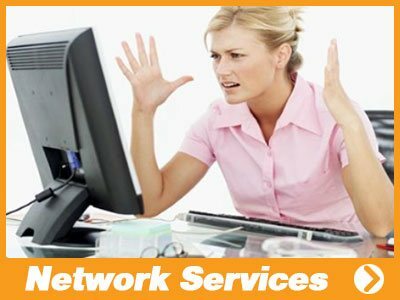 We easily partner with current network systems providers. Are you looking for a way to streamline your document management, secure your imaging data and keep track of your print cost? We support industries like healthcare, education, and legal to comply with government regulations. 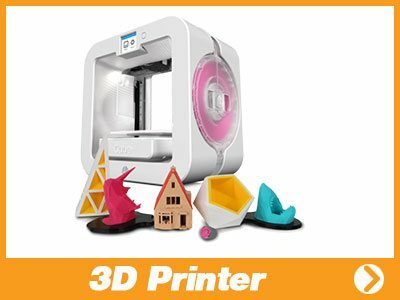 We’re excited to be the first in the area to help those that want to start using 3D printers. The possibilities are endless and we have the resources to get you started in the right direction. We know how important it is to have the right support team. When you partner with us you’ll realize quickly we don’t just have punchlines. Our service team is trained and experienced, our parts/supplies room is fully stocked and our response time is within hours. Since our opening in 1977, right here in SWFL, we have established our technology company as a leading provider of all-inclusive office copier and software solution products & services. Accent Business Products main focus is to offer a complete business to business partnership. We specialize in providing equipment sales, services, and supplies at competitive prices. Every new business receives a comprehensive equipment & software analysis put together by our professional sales staff. We match our clients with the right equipment and services to best accommodate their needs and demands. As a Konica Minolta and Muratec authorized dealer, highly rated in the industry for having great products and features, we are also fully stocked with OEM supplies and parts to fulfill any order and service request. Going beyond offering only equipment sales & service. We offer a wide array of document management software for electronic file routing, storing and archiving to maximize the efficiency in workflows. Our print management software will help keep track of your print costs and comes with tools to monitor your workflow saving you time and money on supplies and services. 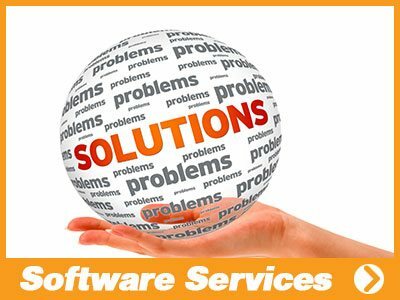 We also provide software solutions to help industries in the legal field, healthcare and education to comply with government regulations, streamlining workflow, and data security. 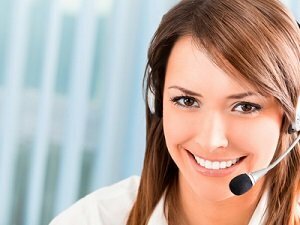 Accent Business Products – Customer First! A family owned & daily operated business since 1977, the entire Accent & Business Products team knows our customer’s business and particularly our customer’s loyalty is earned every day. We believe our success and longevity in our market is a testament to having a great staff that puts custo mers first. Our service department is professionally trained and experienced with an emphasis to respond urgently to all service requests. Whether you’re calling for supplies, service, technical phone support or billing inquiries our administration and customer service dispatch support team takes their job seriously. You will always be greeted with a friendly response and eagerness to help. Contact Accent Business Products Today! 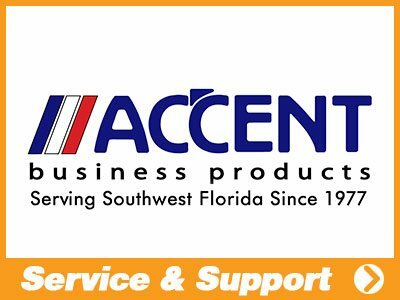 Accent Business Products serves all of Southwest Florida from Marco Island north to Pt Charlotte. To receive a comprehensive equipment & software analysis of your business equipment & software needs, complete our online request form. For the fastest response please contact one of our service areas or call our main Ft Myers office at (239) 939-0077.
in Ft Myers, Cape Coral, Estero, Ft Myers Beach, Sanibel, Bonita Springs, Naples, Marco Island, Punta Gorda, and Port Charlotte.